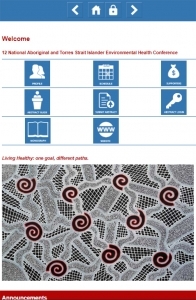 The Expert Reference Panel on Aboriginal and Torres Strait Islander Environmental Health (ERPATSIEH) is pleased to provide delegates with the following conference fees. The conference dinner is not included in day registration. However, tickets can be purchased separately. Should you cancel your registration on or before 6 August 2019 you will be required to pay an administration fee of $65.00. Prepaid registrations will be refunded less the administration charge. Cancellation of your registration after 6 August 2019 will incur the full cost of registration including any extra tickets for the Welcome Function and Conference Dinner. Download the conference app here.